Hi everyone and welcome to the MFT Summer School! It’s your turn to learn! The first session of My Favorite Things’ Summer School started yesterday. 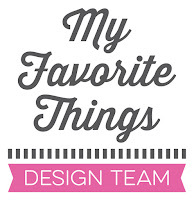 Each day this week, MFT will be offering some lessons in design and teaching free mini-classes. 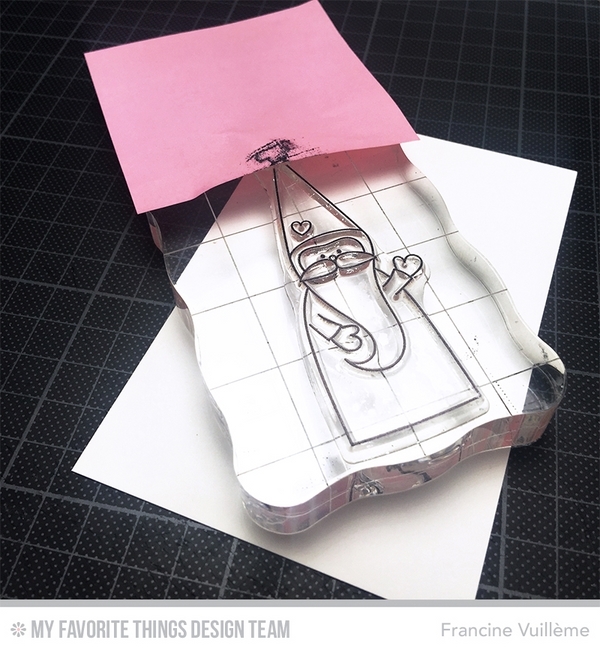 Head over to the MFT blog to read more and watch the video tutorials. There are also fantastic prizes to win! Today’s lesson is about the FOCAL POINT of a composition. I have made two cards to give some examples. For the first card, I chose the Christmas Cuteness stamp set. I decided to make a "gnome" with the Santa, this is why I masked the pom-pom on top of the hat before I stamped the image to watercolor paper. As you can see, I put the gnome in the center of the paper. This time, I colored the image with water-based inks and watercolors, not with Copic markers :P. To make the gnome pop, I left a lot of white space around him. Finally, I added two strips of patterned paper to each side. This helps to bring focus to the center of the card. It works like a frame! You can also put design paper all around the image. For the second card, I made a mask with a butterfly from the newest Flutter of Butterflies Die-namics set. 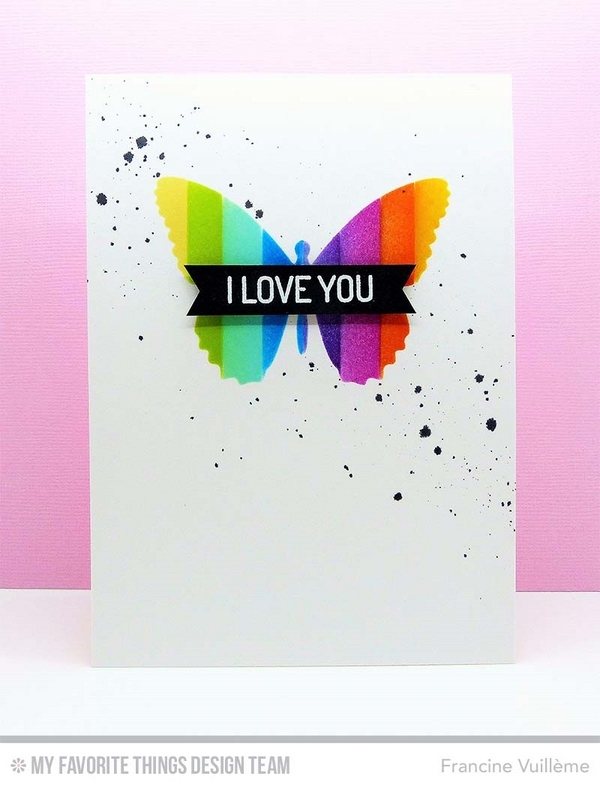 Then I sponged dye inks over the stencil on white cardstock to create a rainbow. I stamped a sentiment from the For the Boy set to a black cardstock and heat embossed it with white embossing powder. I fixed the black banner on top of the butterfly with 3D foam pads. To finish off my card, I made some splatters on the diagonal. As you can see, my butterfly is the focal point of my card, even though I didn’t place him in the center of the card. A lot of white (or "quiet") space helps to achieve this result. These are both gorgeous, love your work so much!! WOW - these are two very excellent and well done examples of Focal Point!! Love the pattern paper that you accented the "gnome" one with and the butterfly is just stunning in those wonderfully bright colors!!! Thanks for the little mini lesson! !